Readers accept the blurring of advertising and editorial these days giving native a new lease of life. Whether its social media or a blog post, online content engages the reader who is able to respond instantly – thus it becomes a conversation. It is that conversation that is crucial in maintaining audiences. Gone are the days when magazines produced a printed weekly, monthly or quarterly edition and nothing else. Today readers don’t like waiting – they want instant content that relates to them, which they can talk about. Now publishers not only have to deliver editorial, but also engage audiences with content-specific articles allowing the writer and reader to interact. Thus the audiences are no long passive contributors. Yet few publishers have worked out how to profit from this. So how can this level of engagement become profitable? The answer lies in creating a need. This is done by building strategic partnerships with key stakeholders such as advertisers or sponsors. Only then can valuable content be developed. The key here is value, which is where content marketing comes in to play. This content will effectively do two jobs. First it offers providers a means to demonstrate their product or service to potential buyers – their audience. 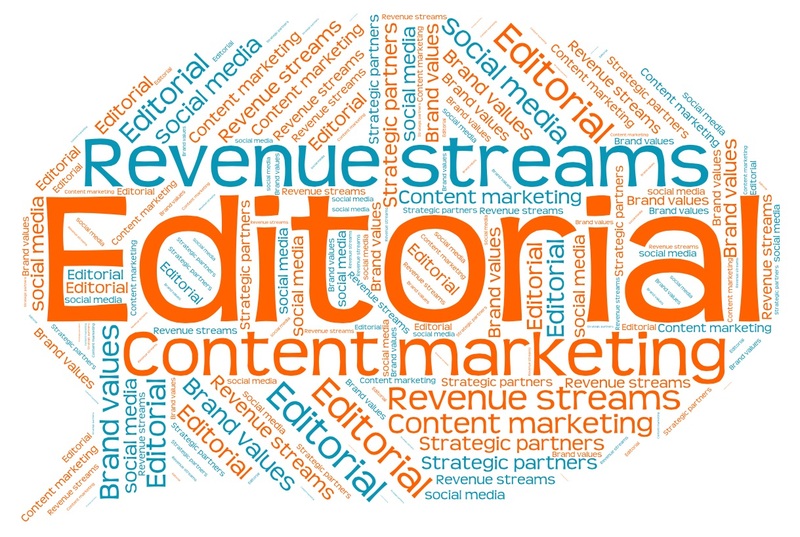 Secondly, from their readers’ perspective, the editorial delivered as content marketing offers access to in-depth information on a product or service that might not be available elsewhere. This could take the form of in-depth user reviews or analysis. Audiences must think that the content has an actual worth. But there is a fine line between promotional and editorial content as this is not advertising. Therefore information used in content marketing must have actual value for readers as opposed to a perceived worth. Trust is paramount here so publishers must choose brand partnerships carefully ensuring that there is a strong synergy as well as a shared vision and brand values. In order to increase potential income their streams publishers must charge for this content, or use content marketing strategies to increase copy sales and build their brand. Increase sales: In its purest form, content marketing provides a controlled and portable shop window for companies to sell products to their customers in their own time. Recent CMA research has found that over 50% of content marketing consumers say it has a positive impact upon purchase decisions, with 61% agreeing that it increases brand positivity. The core skill of the modern content marketing agency is to create and distribute content across all key marketing mediums – print, online, digital, mobile, video and social media. Not only can the agencies produce content appropriate for the individual channel, all channels will be integrated with one another, doubling or tripling the effectiveness of the campaign. While clients may look towards content marketing for short-term gain, their real talent lies in long-term engagement. Using regular communication with your customer base, you can gradually build up a bond with the reader, increasing their trust in your brand and making your product or service their first choice. And by creating a regular dialogue with your reader, you can open a line of communication that gives a constant stream of feedback that can be used to improve your service and keep your customers happy. This entry was posted in Revenue streams and tagged content marketing; potential revenue; building your branding; engaging magazine audiences. Bookmark the permalink.